Medea by Euripides, Actors’ Shakespeare Project, Cambridge Multicultural Arts Center, 2/8/12-3/4/12, http://www.actorsshakespeareproject.org/whats-new/medea. Mature content. Not recommended for children under 13. (Cambridge, MA) No one who watches Court TV or Law and Order can deny the pull of a good crime drama. Even those who pretend to be indifferent or opposed to crime drama cannot help being drawn in (and for those who are still pretending that they don’t care, wasn’t that you who tweeted about the Casey Anthony trial all of those times?). 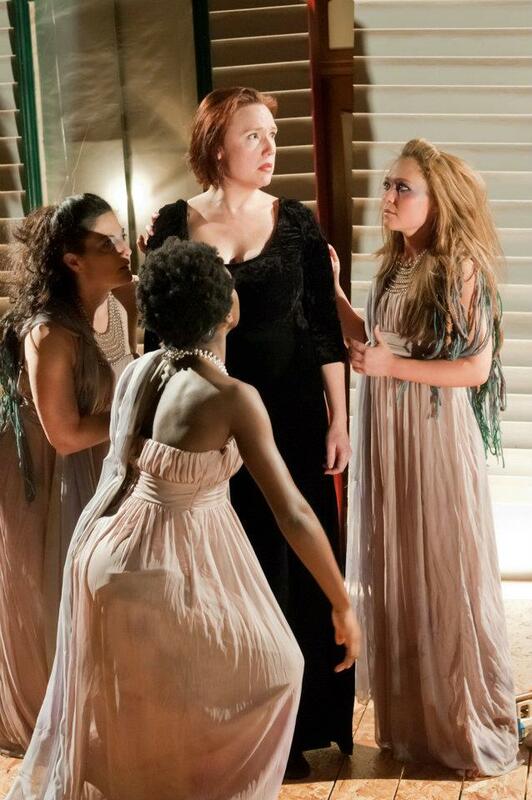 What may surprise audiences of Medea is that society hasn’t changed much in 4000 years. Actors’ Shakespeare Project brings to life a Greek drama that examines the dark impulses and desires that haunt not only the “cultured” audiences from Greece’s Golden Age, but also the dark realities of our own society.